WEBINAR SNAPSHOT: Learn what electronic evidence is admissible in Tennessee, how to acquire it, and how use it to your client’s greatest advantage in litigation. Are you completely current with the latest rules controlling how ESI (electronically stored information) can be used in Tennessee litigation? Could you be missing a key piece of e-mail, social media, text message, or other cyber-evidence that could materially affect the outcome of a pending case? Computers, mobile phones, and laptops contain a plethora of data, including browsing history, text and email messages, and location data. This data may be extremely valuable evidence in a criminal or civil case you’re currently involved with. Tennessee attorneys must understand how to capture information from these devices and how preserve it for use in litigation. Use this on-demand webinar when Tennessee attorney Ben Raybin from Raybin & Weissman, P.C. will explain how to obtain information from electronic devices and how to preserve and authenticate that information. Evidence that can change the outcome of a case can be found in a variety of places – on smartphones, PCs, tablets, and flash drives, and in the cloud. Learn how you can uncover it—and use it to your client's advantage. Tennessee Attorney ESI Update: How to Uncover and Use Digital Evidence for Maximum Case Benefit — is just $99. Attorney, Raybin & Weissman, P.C . Ben Raybin is an attorney with the law firm of Raybin & Weissman, P.C. in Nashville. His practice focuses on criminal defense, civil rights, and appellate law. He has briefed and argued cases before the Tennessee Supreme Court and the Tennessee Court of Appeals. He is a graduate of Vanderbilt University Law School, where he served on the Law Review, and received his B.A. with honors from the University of Chicago. Mr. Raybin clerked for Judges Gilbert Merritt and Jane Stranch, both of the U.S. Court of Appeals for the Sixth Circuit. 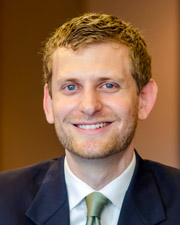 He is the editor of the Tennessee Supreme Court Hotlist, which previews cases which have recently been granted review. He is a member of the Nashville Bar Association, the Tennessee Bar Association and the Tennessee Association of Criminal Defense Lawyers.